Get excited! This spring at Hensley’s Big & Tall we have new clothing in from all of our most popular brands. We carry all of the big and tall men’s clothing sizes the big and tall Des Moines market and beyond needs. Be sure to check our website, sign up for our newsletter and keep an eye on our social media feeds (Facebook, Twitter and Instagram) so you don’t miss out on our new styles. Since inventory moves quickly, not everything you see online will be in store or guaranteed to be available so be sure to act fast if there’s an item that catches your eye. We have an ever-changing inventory of big and tall men’s clothing, so check back frequently to see what’s new. We’ve included a number of outfits to browse including new looks from the first few items we received in our spring deliveries. There’s a common myth that big and tall clothing isn’t stylish, and it’s time to bust that myth. We offer a balance of modern and classic styles, so you’ll find exactly what you need to look and feel confident. As you browse the big and tall outfits we curated, we hope they inspire you to see how different styles, patterns and pieces come together to create unique looks. With a visit online or at our store in Urbandale, we can do the same for you - pulling colors, textures and styles you like - to craft your perfect-fitting outfit. When the weather is unpredictable it's difficult to pick out clothes you can be comfortable and confident in throughout the day. Versatility is key, which is why a jacket that can ward off wind and rain is a staple for any wardrobe and helps you to stay warm and dry. When you're working on a budget, investing in quality, versatile staples will pay dividends in the long run. You need big and tall clothes you can count on, we’re here to help. 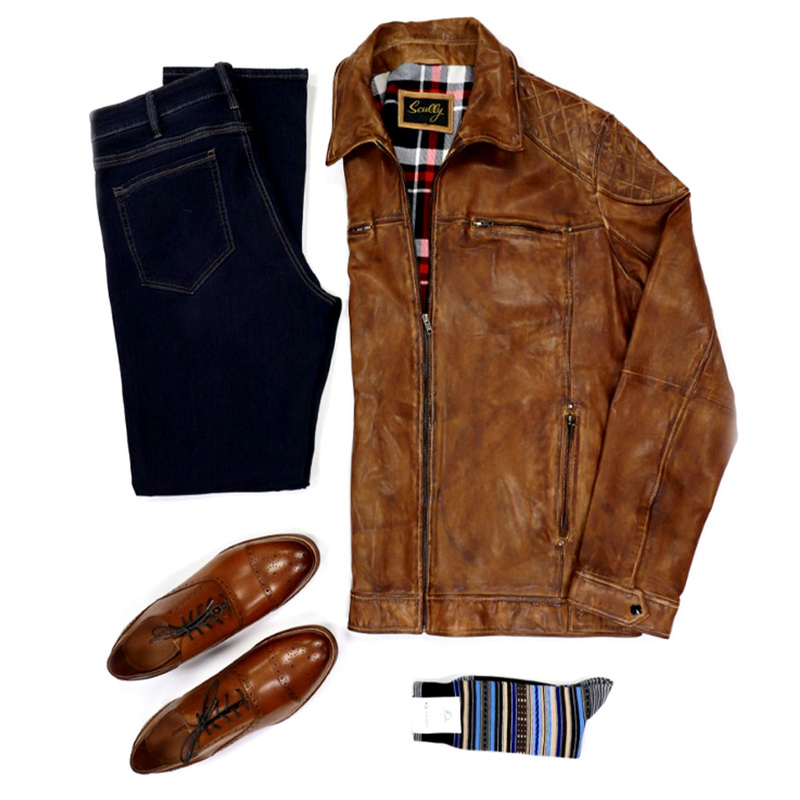 To shop our big and tall leather jackets, find out what’s available for our outerwear. One of the most underrated items of clothing is the undershirt. Most guys think of this as a glorified sweat barrier to avoid the dreaded armpit stain. But a properly placed undershirt can be so much more! 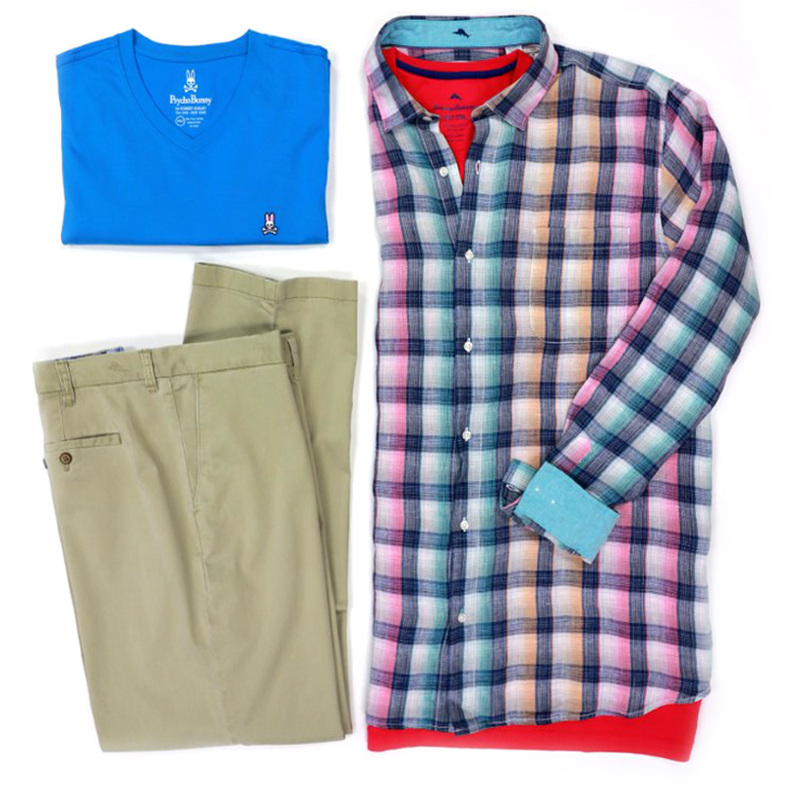 Instead of a boring white undershirt, consider adding a complementary pop of color to your spring outfit. If you’re looking for more undershirt ideas, see what we have for our t-shirts. Picture this; it’s Saturday at 7 A.M., your tee time is in 45 minutes. It’s a chilly sixty-two degrees and by the time you’re putting on the 18th green, it will have warmed up to a perfect seventy-five. 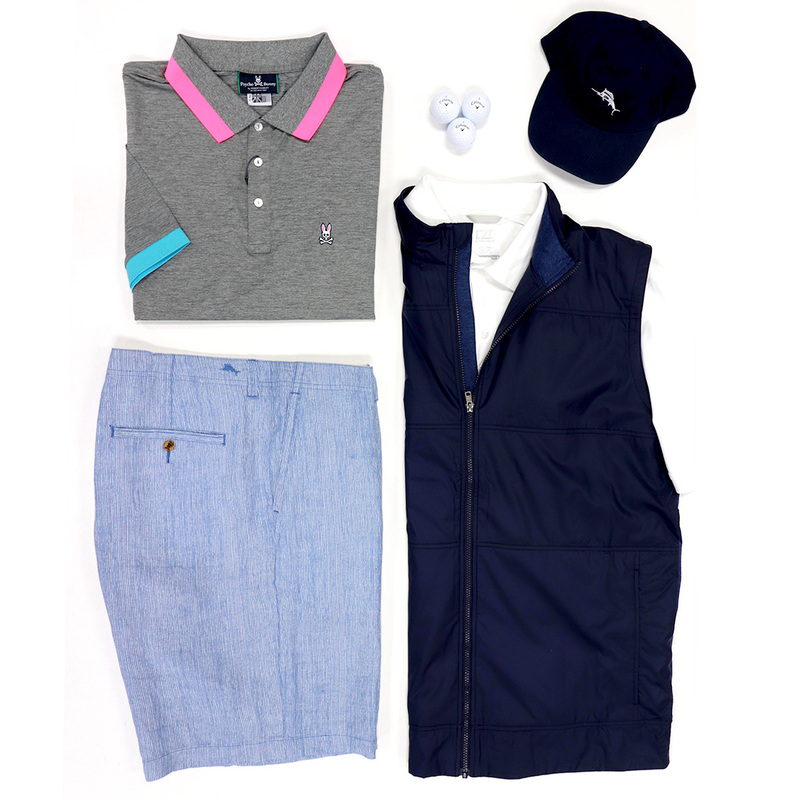 A polo is ideal, but you need that extra layer for the front nine. 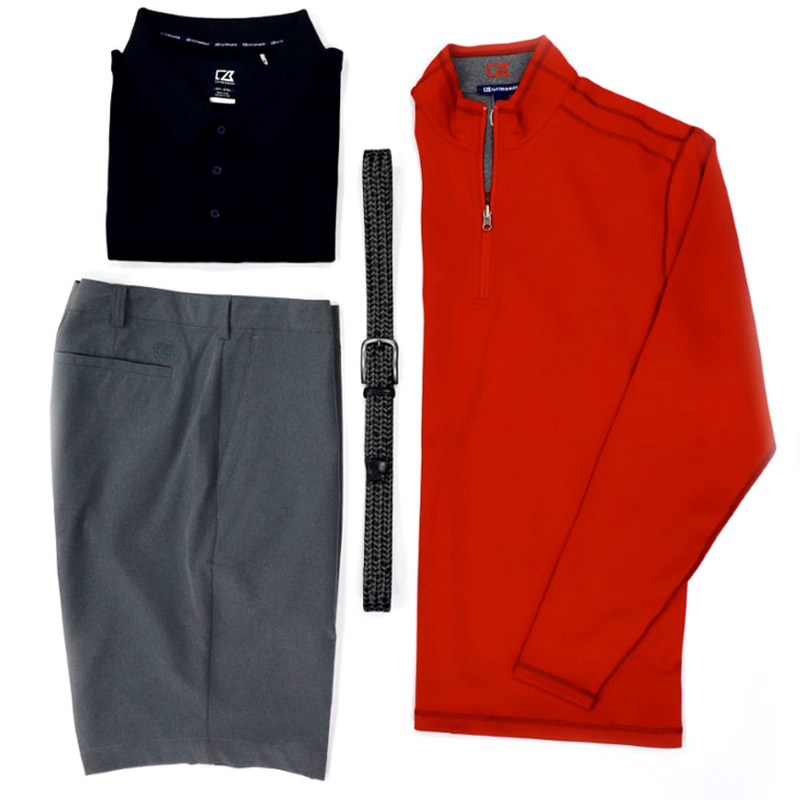 A jacket could restrict your backswing, but a stretchable quarter zip long sleeve shirt is your ticket to a great start. Don’t settle for subpar items that don’t give you the comfort and flexibility you need. 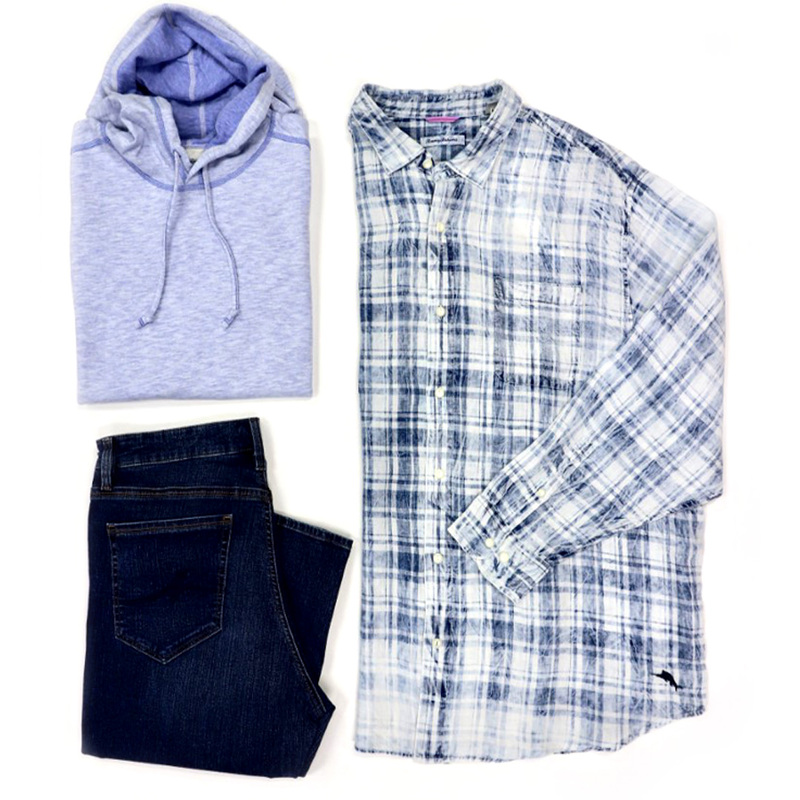 We have big and tall clothing that will give you a modern look with the comfort and flexibility you’ve been searching for. See what else we have for shirts and sweaters. Regardless of the season, a pair of dark denim jeans will go with anything in your closet. Depending on the occasion, dark jeans can be dressed up with a blazer or dressed down with a hooded sweatshirt. If you don’t have a pair of dark denim in your closet, stop what you’re doing right now and head over to the jeans section on our website. Do yourself a favor by investing in a solid pair of big and tall jeans today. See what we have in our denim collection. Warmer weather and spring break vacations are just around the corner. Prepare now by grabbing a pair of well-fitting go-to shorts for those hot days coming up. Pair them with a quality pair of loafers and you’ll be ready for anything thrown your way—whether it’s Sunday brunch or a Saturday when you’re out running errands. You won’t be disappointed; these loafers will look great and keep you cool and comfortable. Check out our other big and tall shorts styles. 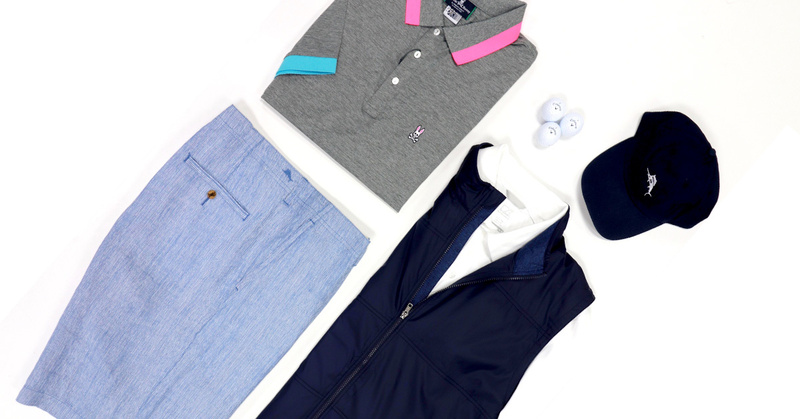 Spring is the time to shed heavy materials and fabrics for lighter more breathable pieces, which is why we recommend you pick up a polo for the fast-approaching warm days. While polos are often associated with summer, they are a great layering piece that pairs well with a quarter zip, vest or jacket. They’re more dressed-up than a pocket or a crew neck t-shirt and are always welcome attire for the golf course. Polos come in a variety of different fabrics, materials, patterns and colors that offer something for everyone. Pick out your polo today available in a variety of big and tall sizes. 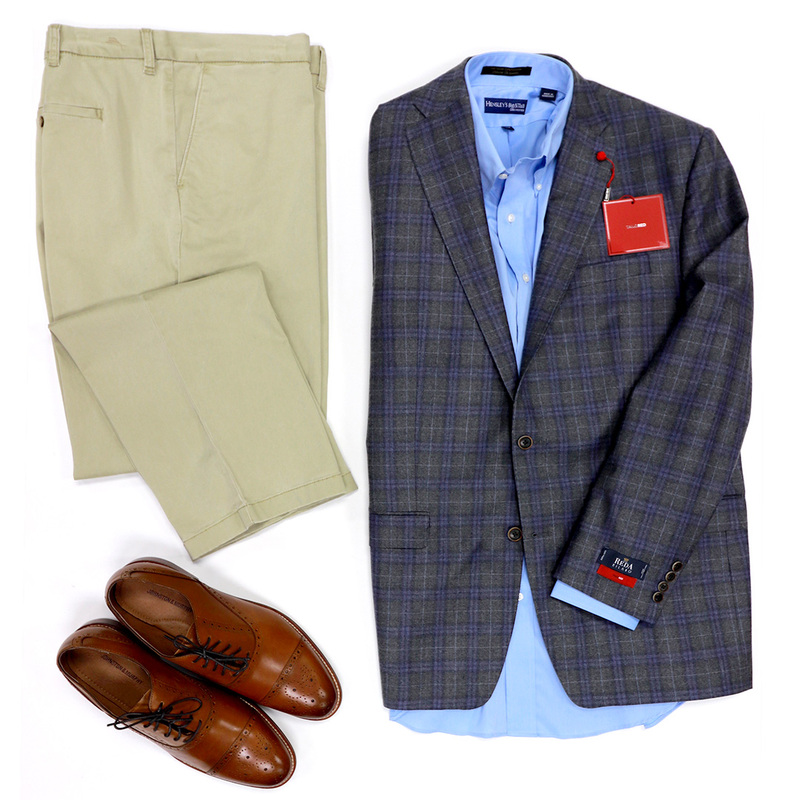 Dress shirts can be worn for a special date night or a regular weekday at the office. They can be dressed down with a pair of dark denim jeans, dressed up with a pair of chinos or dress pants and worn with a blazer or suit jacket for more formal occasions like dinner parties. A well-fitting dress shirt is a must-have for any man’s wardrobe. They come in a variety of different patterns and colors to meet your needs regardless of the occasion. Find your next dress shirt from our new spring inventory. When it comes to getting dressed each and every morning, too many men put little thought into the socks they wear. Socks provide a cushion for your feet so they don’t rub against the lining of your shoe, keep your feet dry, protect against moisture and combat athlete's foot. Functionality aside, socks can be a creative way to express your style. Whether you match your socks to your outfit or add a dash of color or wear a wild pattern, the guys who pay attention to the minute details, like their socks, are the ones that get the reputation of best dressed around the office. 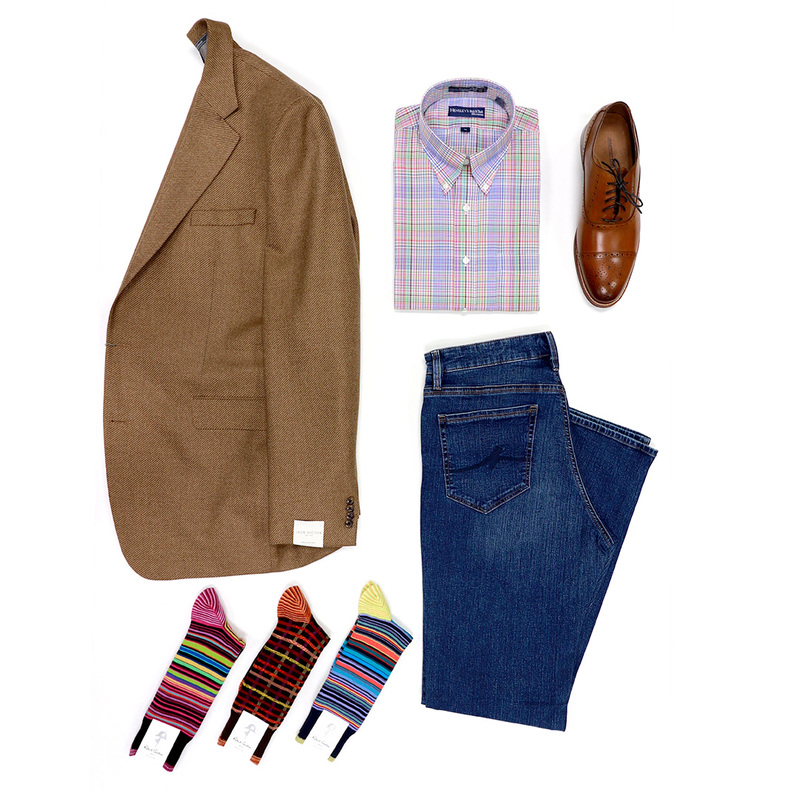 Select a pair of socks to add some flair to your wardrobe. At Hensley’s Big & Tall, we have all the big and tall men’s clothing you need to look great and feel confident. 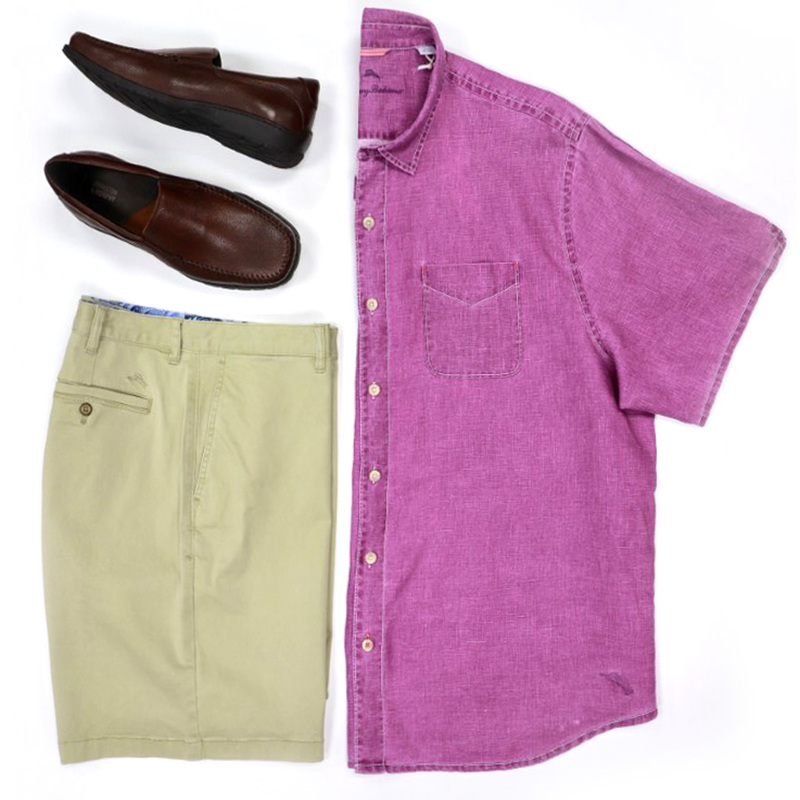 For more style tips and outfit ideas, follow us on Instagram or visit us online or at our store located in Urbandale, IA to try on the clothes yourself with the assistance of our helpful and knowledgeable staff.